An immense ecosystem, the Amazon rainforest provides the right habitat for a number of unique animals to live in. The home of some of the deadliest wildlife in existence, the Amazon is also the home of the weirdest and strangest of animals, such as the poison dart frog and the Jesus lizard. However, today we pay homage to those animals that will give you nightmares, but that are also so beautiful and astounding that we can’t help but love them. Without further adieu, here are 10 of the most incredible and deadly animals of the Amazon rainforest. 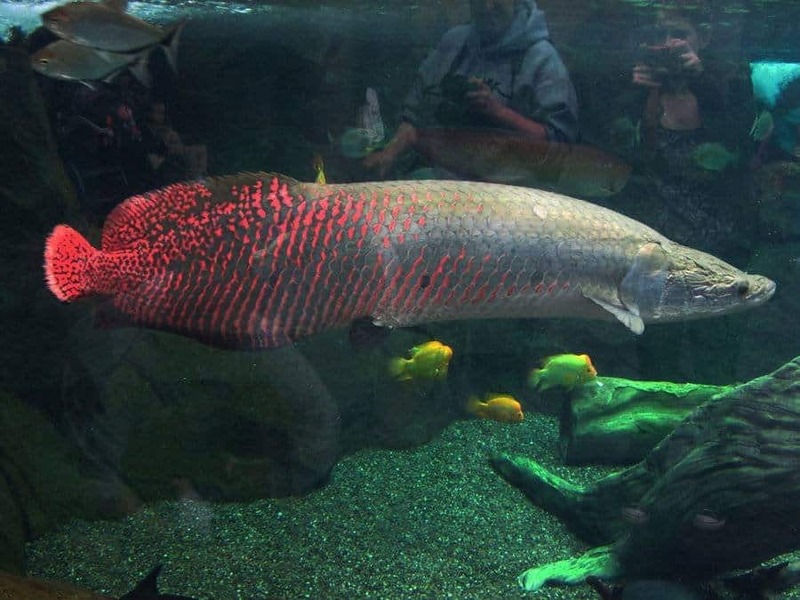 Also known as ‘paiche,’ the arapaima are gigantic carnivorous fish that lives in the Amazon. Reaching up to 2.7 meters in length and weighing up to 90 kilograms, these fish are so deadly that even their tongues have teeth. 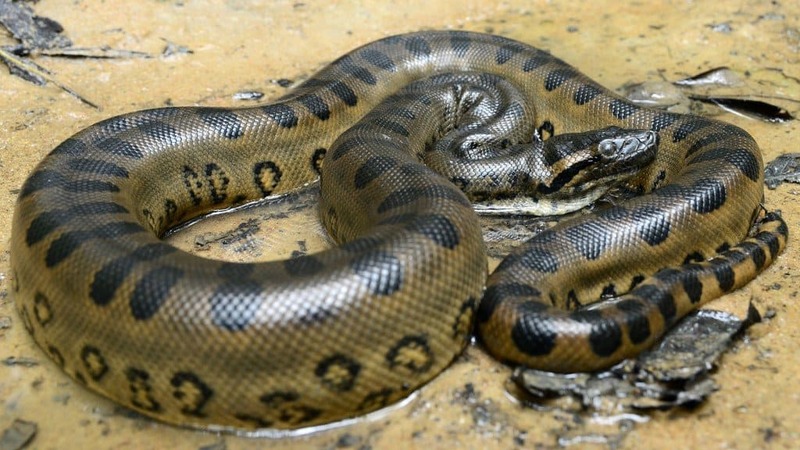 The Amazon River is infamous for the green anaconda – the largest snake in the world that can reach over 250 kilograms and grow up to nine meters in length. 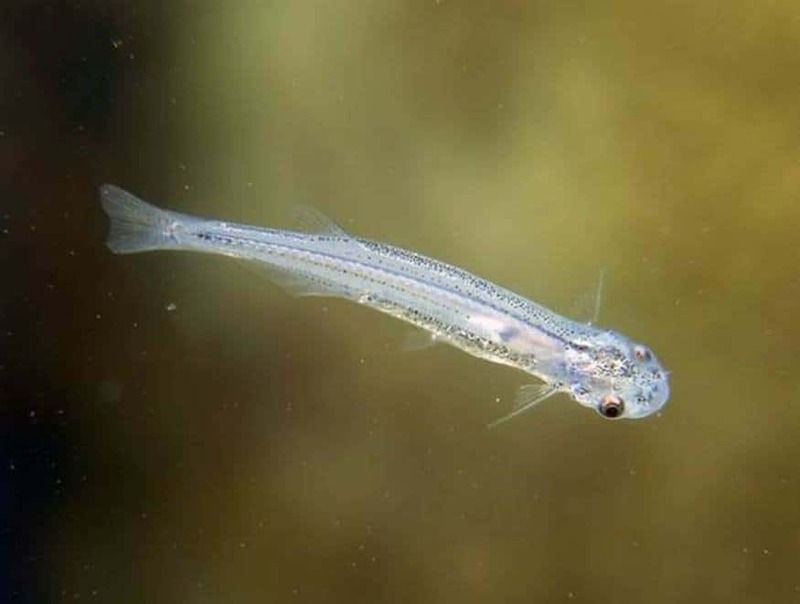 A fish of mythical proportions, Candiru are infamous for their ability to swim upstream with amazing speeds. They are so small that they go into the urethra of people who urinate in the river. The candiru usually preys on fish, feeding on their host’s blood. 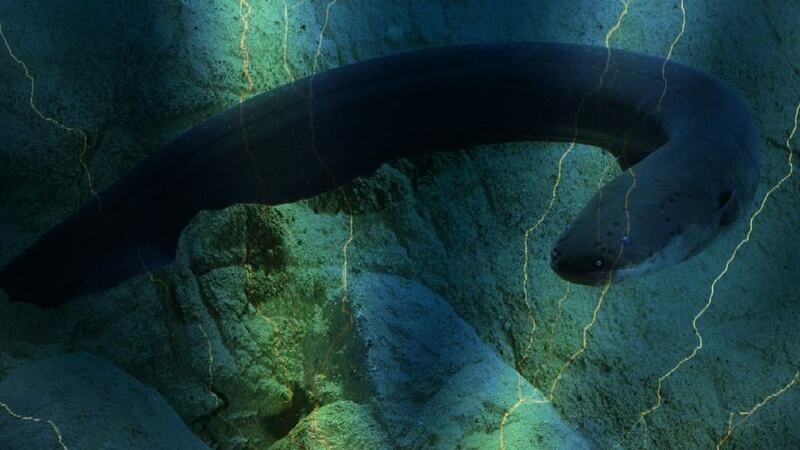 Closely related to catfish, Electric eels are able to grow up to 2.5 meters in length and are able to produce jolts of electricity with charges that can reach up to 600 volts. 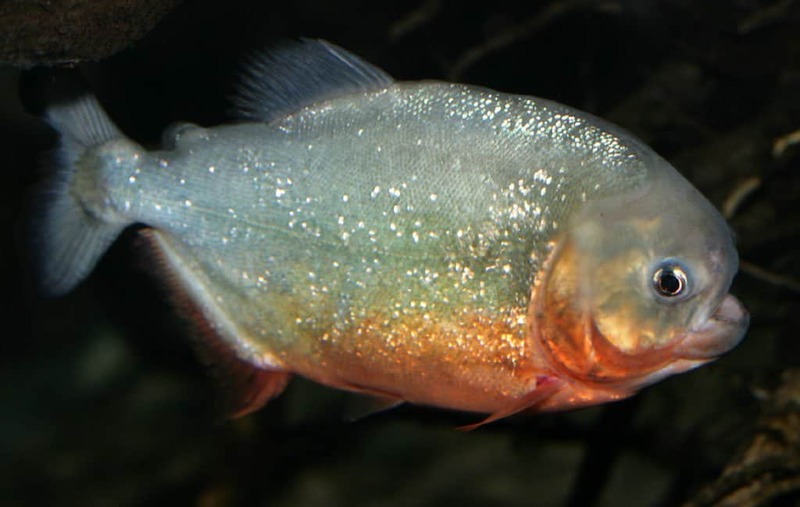 Inspiring a number of Hollywood movies, the Red-Bellied Piranhas are the true terror of the Amazon river. Primarily scavengers, the 12-inch-long fishes swim in large groups and have extremely sharp interlocking teeth, perfect for tearing any tissue and flesh. 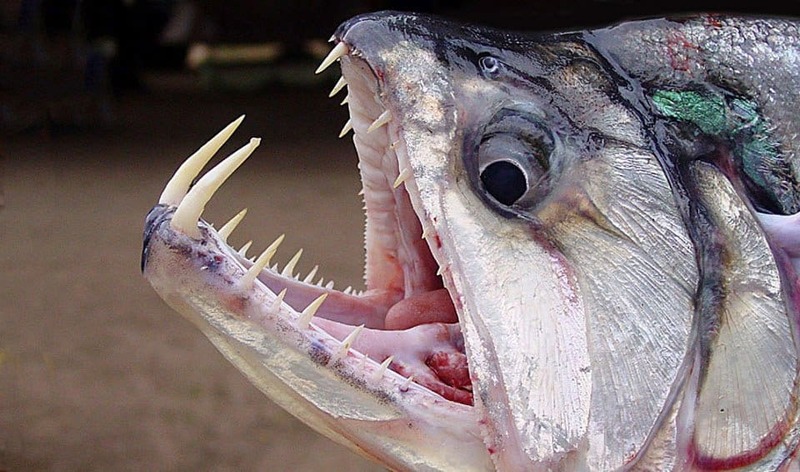 If the name ‘Vampire Fish’ and the photo aren’t scary enough for you, you should know that these ferocious predators are able to grow up to 1.2 meters in length and are able to devour fish up to half their own body size. The payara are also considered to be the piranhas’ natural enemy. Even though sharks are usually ocean-dwelling animals, they have managed to find a home in the Amazon River’s fresh water as well. 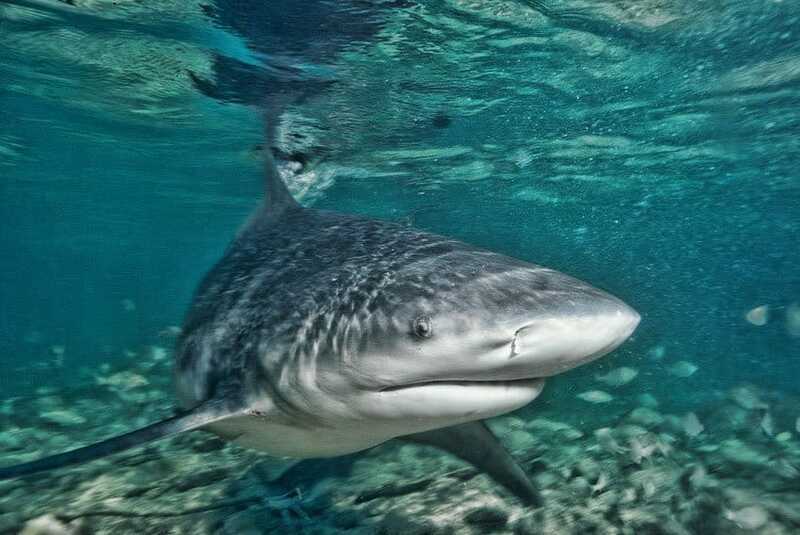 With special kidney that can sense the change in the salinity of the water, Bull Sharks are able to reach up to 3.3 meters in length and weigh more than 310 kilograms. 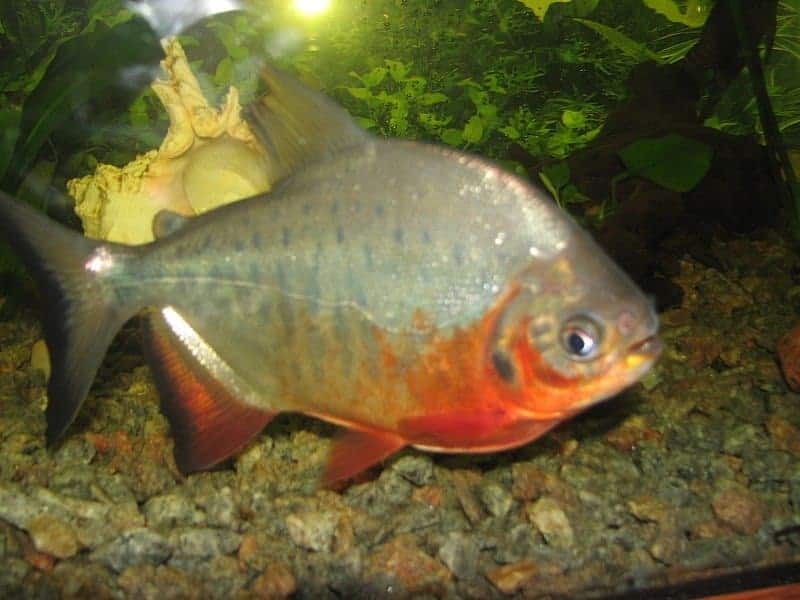 The bigger brother of the piranha, the Pacu is known for its distinct human-like teeth. Being omnivorous, part of the diet of the fish consists of nuts and fruits. However, they also tend to have a taste for male nuts as well, knowing to have bitten off the testicles of male swimmers in Papua New Guinea. 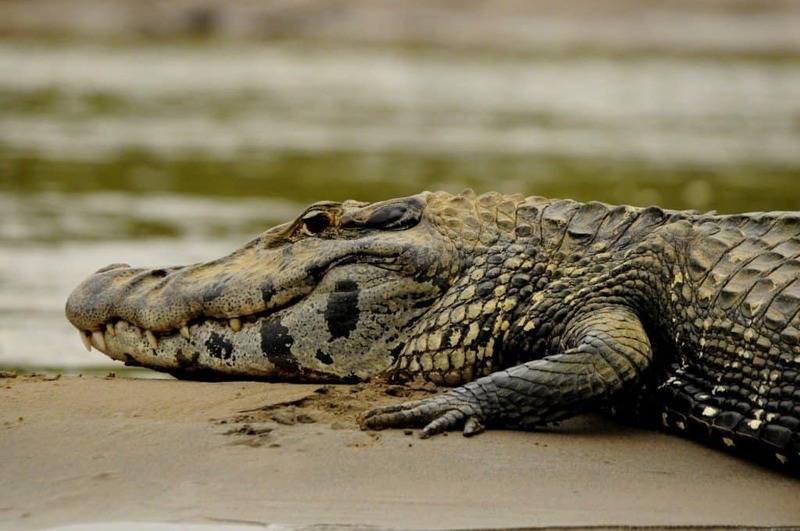 Able to grow up to six meters in length, with skulls heavier than the Nile crocodiles, the Black Caiman are basically the kings of the Amazon river, eating nearly anything they can get their teeth into. 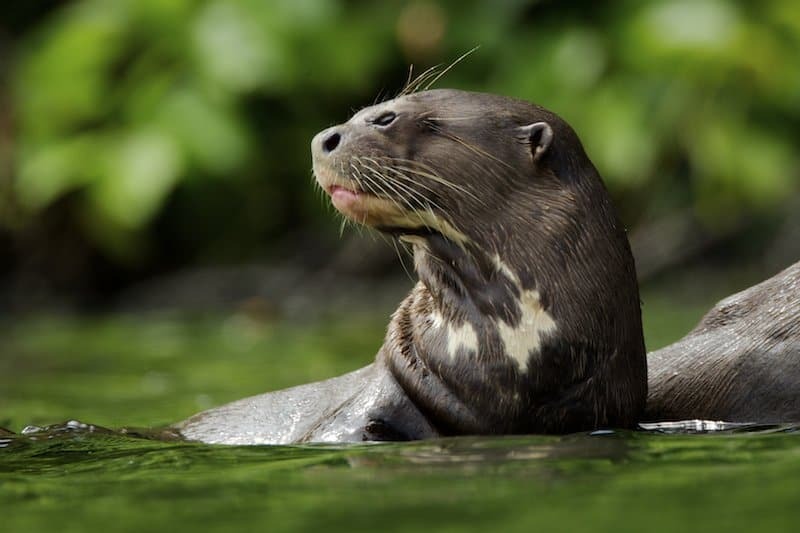 The biggest of the weasel family, The Giant Otters, as the name suggests, are gigantic in size, being able to reach up to two meters in length.